← What makes an example useful for you to take to TOK class? (by Eileen Dombrowski, from OSC TOK blog) Intense emotions and extensive discussion have swirled around the 4-metre-long cloth known as the Shroud of Turin. Is it really the burial cloth that was wound around the body of Jesus Christ after his crucifixion (as many Christians believe), miraculously preserving His image? Or is it a hoax? Earlier this month (Oct 9-12), a conference in St. Louis, Missouri brought together international presenters and participants on the topic “Shroud of Turin: The Controversial Intersection of Faith and Science”. However, it is an article by historian Charles Freeman that may at last give some definitive answers. In an article published this week in History Today, he argues that the cloth is neither a miraculous burial shroud nor a deliberate hoax, but a 14th century cloth used in church Easter rituals — with significance attributed later. His research is riveting for those of us interested in how knowledge is created. Many examples could be used for the interaction of faith and evidence in justifications for knowledge claims. However, I think what makes the shroud controversy stand out as useful for class is the contribution of historian Charles Freeman. It seems to me to fill a need in TOK, one emphasized in the subject report from the May 2014 session: “Once again, examiners complained bitterly about the gross misrepresentations of history that seem to have become so deeply entrenched.” (page 6) In the commentary on a particular title, the report laments, “History as an area of knowledge continues to be badly treated.” (page 15) It could be very useful for students to look closely at the evidence and reasoning that Freeman uses to reach his conclusions, see the careful scholarship behind them, and recognize some of the methodology of a professional historian. Ask the whole class to look at the article by Charles Freeman, in order to consider his methods as characteristic of a historian — and to do it as homework so that students can read at the own speeds and come prepared for class discussion. As quick background to his article, a short review in The Guardian sums up many of his main points: “Turin shroud was made for medieval Easter ritual, historian says”, Freeman’s article itself (“The Origins of the Shroud of Turin”) requires considerable attention and close reading to absorb its nuances – but a rougher treatment in class is probably sufficient to make essential points about what evidence an historian uses, and how. 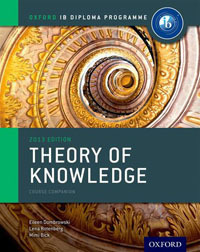 Many students would benefit, I suspect, by some support for reading comprehension of this scholarly article – either by having you as the teacher sum up the arguments and their support (fast) or (better) by having you guide them to the structure of the argument with its questions, evidence, and stages of conclusions so that they are able to skim more effectively. The information in the article is not, in the end, what’s beneficial for TOK; students need also to prepare for discussion on historical methodology. Feel free to use the support I’ve worked out below if it’s useful to you. The two sets of homework questions provide a basis for discussing the article, first for understanding what Freeman is arguing and then – much more important for the TOK take-away ideas — discussing the general methods of historians. This entry was posted in IB Theory of Knowledge and tagged critical thinking, evidence, history, knowledge question, methodology, perspectives, shared knowledge. Bookmark the permalink.